The VSM-100 is a comprehensive test platform for complete vehicle electrical systems simulations. Thank you for your interest in the VSM-100. Please fill out the form below so we can send you the brochure. Thank you for your interest in the VSM-100. Your request has been submitted to our sales department, and we will get back to you soon. The VSM-100 provides a complete test system for ECU programmers, systems architecture designers, and electrical engineers for the validation of a vehicle’s electrical systems behavior and performance. The client is able to connect complete vehicle electrical systems to the D&V test system, simultaneously testing the alternator and starter, while simulating actual driving conditions. Engineers can validate their designs and software with real time control and response measurement during vehicle control module firmware development. The VSM-100 processes up to 200,000 samples per second to ensure real-time data integrity and accuracy. 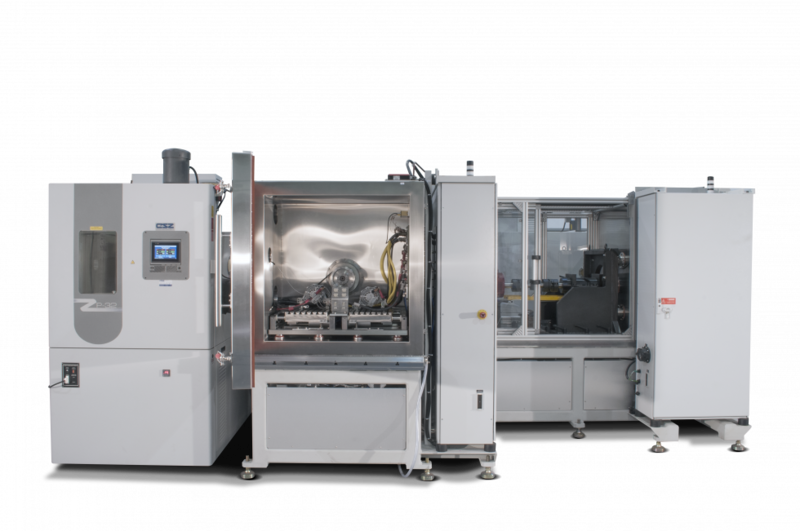 The VSM-100 encompasses real world environmental conditions with environmental chamber testing between temperatures between -30 to 140 °C (-22 to 280 °F).